About CR Solutions, Inc. | CR Solutions, Inc.
At CR Solutions, Inc. our mission is to enable our clients to put in place high performing, ultra reliable, and visually appealing control facilities that can withstand intensive use while maintaining intrinsic to a control center environment. The best in custom consoles for mission critical environments. Ergonomic seating and workstation accessories designed specifically for intensive use environments. Data display wall design and installation from the global market leader. 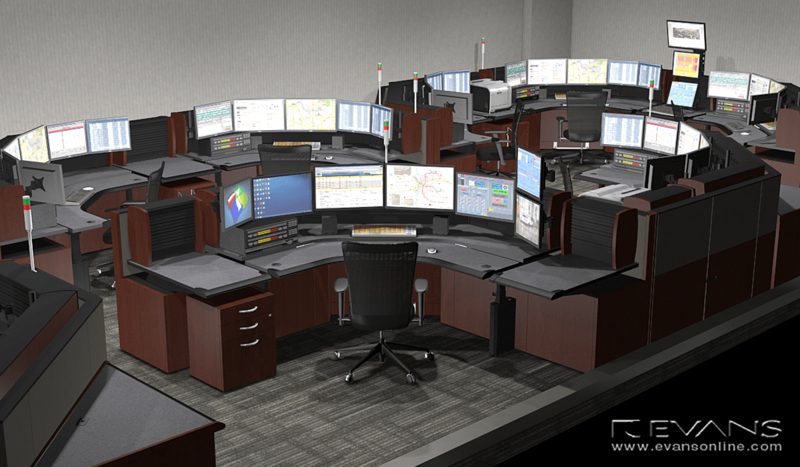 Expert command center and control room planning, design and construction services backed by decades of experience. Increasing and maintaining an operator’s situational awareness and effectiveness is paramount to any critical operation. Through the study and application of ergonomic principles, CR Solutions will customize a solution to optimize the relationship between an operator, their work station, and the room at large. We begin by focusing on key factors in the operator’s immediate environment, such as monitor placement, availability of accessories like keyboard trays, phones, and radios, chairs specifically rated for 24/7 use, and binder/personal storage. Outside the immediate environment, factors within the arena are also optimized. Key components include viewing angles and distances to points of information around the room, configuration of operator and supervisor positions, centralized general storage, and proximity to amenities such as copiers, printers, and support spaces.